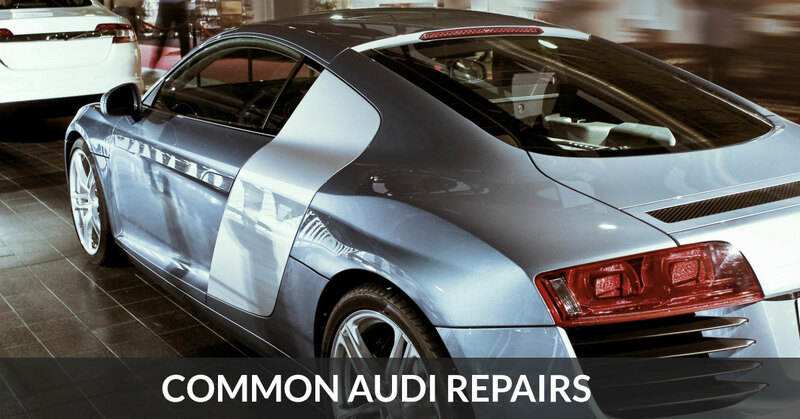 Welcome back to part 2 of our blog series on the most common repairs that Audi owners are likely to face. Here at Kudos Import and Performance, we realize that the majority of our Chesterfield clients are busy. Between work, family, friends, and the myriad of other activities that people have to deal with, we realize that it is not always easy to set aside time for your vehicle. Sure, most people are great about keeping their car washed, making sure the oil is changed, and ensuring that their is gas in the tank but how often do people really set aside time to have their vehicle properly checked? While it may sound like we are scolding people, we promise that we are only trying to bring this fact to our Chesterfield client’s attention. Your Audi depends on you to make sure that it is healthy and, in today’s post, we are going to cover a few more issues that tend to crop up among Audi vehicles. If you are aware of these issues beforehand then you are more likely to recognize when they are about to happen and know what steps need to be taken to make sure that the issue does not result in overly expensive damage. As we said in our last post, Audi repairs happen. Audi’s, just like any other machine, are not perfect and occasionally will need to have parts fixed or replaced. Below we have listed a few of the issues that most commonly affect our Chesterfield clients. Exhaust Gas Recirculation: The exhaust gas recirculation system, (EGR) is an important component of your Audi. This system works by recirculating a portion of your Audi’s engine exhaust back into the cylinders of the engine. By doing this, the oxygen from the incoming airstream is diluted, resulting in a decrease in peak in-cylinder temperatures. Basically, this system helps your engine to stay at the appropriate temperature. If this system starts to fail, you may notice your Audi’s engine temperature start to rise which can lead to serious damage, such as piston failure or the cracking of the engine block, if not quickly addressed. Over time, this system will experience carbon buildup resulting in the need for a thorough cleaning or a full replacement. Catalytic Converter: Although nearly everyone has heard the term “catalytic converter”, you would be surprised by the number of people that don’t actually know what this car part does. Basically, your Audi’s catalytic converter is an emissions control device that takes the exhaust from your vehicle and makes it less toxic to the environment. This part is important because it not only helps to protect the environment but is also largely responsible for your Audi passing emissions tests. Catalytic converters often experience issues with carbon buildup which solidifies and impedes the flow of exhaust from a vehicle. While replacing the catalytic converter will fix the issue temporarily, the root cause of catalytic conversion failure is typically the engine. If you’re experiencing issues with your catalytic converter let our Audi repair experts take a look at your vehicle. You may need to have your engine tuned up to ensure it isn’t releasing excess emissions. Oxygen Sensor: The oxygen center is only included on this list because it is an issue that plagues, literally, every vehicle ever built. The most common reason that your Audi’s “check engine light” is on is that an oxygen sensor somewhere on your vehicle has failed. The function of the oxygen sensor in your Audi is to send information to your Audi’s onboard computer relating to oxygen levels in the engine which, in turn, helps determine the overall performance and efficiency of your vehicle. Replacing an oxygen sensor is a common Audi repair issue and our technicians at Kudos Import and Performance are well-versed in the process. We hope that this short blog series has helped our Chesterfield customers with Audi’s feel better about the health of their Audi. If you feel that your Audi may need some repairs or maintenance, please set up an appointment today with the experts at Kudos Import and Performance. We’ll fix the issue and get you back on the road.